Your time is valuable. 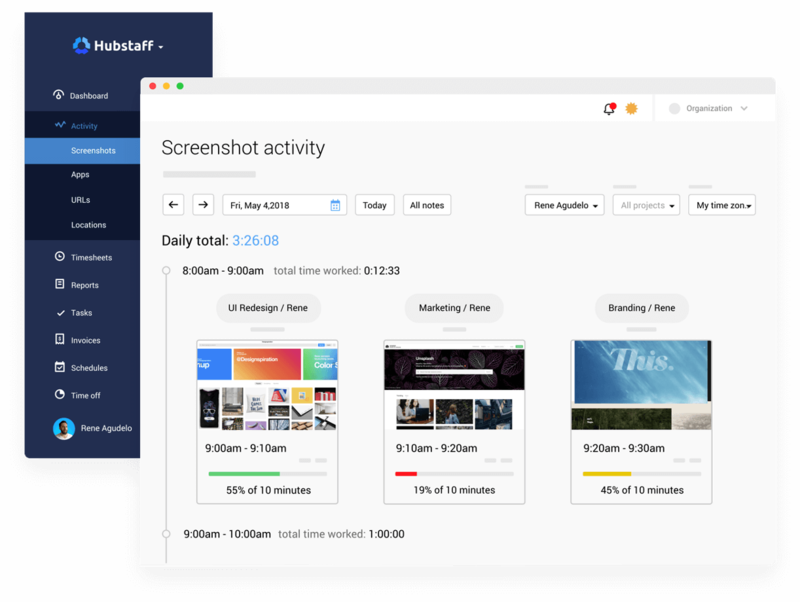 Focus more on growing your business instead of making sure work is getting done with Hubstaff: an easy application that tracks time, captures random screenshots and URLs, and measures productivity levels for your team. 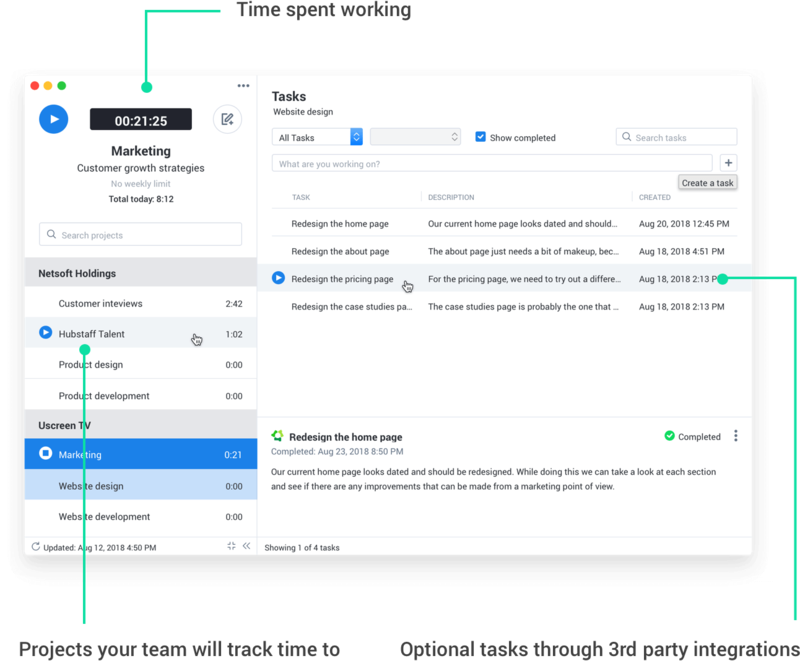 See work in progress and make sure your team is on the right track, all in a matter of clicks. Set random screen capture to once, twice, or three times per 10 minutes. Or, turn the feature off altogether. Gain even more clarity when paying teams with work notes. Your team can add notes directly through the app or the online dashboard for you to review. Identify positive trends and areas for improvement by viewing detailed reports in Hubstaff. By seeing how work happens, you’re better suited to estimate projects, plan, and grow in the future. Quickly view daily, weekly, or monthly timesheets so you always know when your team works. 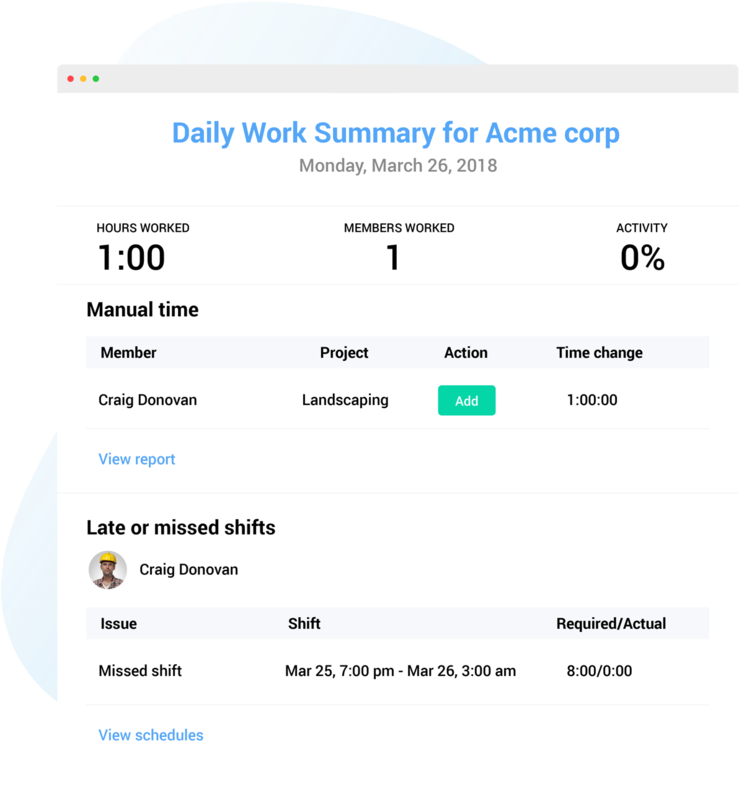 Hubstaff will automatically stop tracking time if your employee stops working. Add, edit, or delete time manually anytime you need, and give your employees the ability to do the same. Can we turn off the screenshot capture? A:Yes, of course. Each organization can choose their settings: either to turn it off completely, or to capture screenshots once, twice, or three times per ten minutes. Does Hubstaff offer a manual time sheet option? A:Yes, you can allow your employees to enter their work time manually into the time sheets if you want. This is useful for adding time in the past or if time was spent out of the office. Is the employee monitored in real time? A:Hubstaff monitors the employee's computer usage as long as they are tracking time with the app. The data that is tracked will be available in your Hubstaff account to view very shortly after it is tracked, but not immediately. No more checking in or circling back. Just moving forward.